Best Buy is another one of the biggest Black Friday retailers and we’ve gathered up a few highlights for you. While many retailers are offering the same deals on consoles, there are always a few extra bonuses to look out for, so always check around first. Box retailer Best Buy is one such shopping destination, offering manufacture set discounts on consoles. This means, like Walmart, Target and others, select Xbox One S bundles are $199, and the Mario Kart 8 Switch console bundle is $299. You can pick up the Super Mario Maker Edition Nintendo 2DS for $79.99 and PS VR bundles are $100 off at Best Buy and elsewhere. The store has some good deals on accessories, peripherals, and memory cards such as the SanDisk 64GB microSDXC for Switch. It is on sale for $17.99 instead of the regular price of $79.99. That’s a fantastic deal. Plenty of games are on sale too, and Best Buy has a price match guarantee. It is offering $20 off select games new and older such as FIFA 19, and Bayonetta 2 (Switch). Also, you’ll get a free SteelBook and save $10 off select games when buying Battlefield 5. 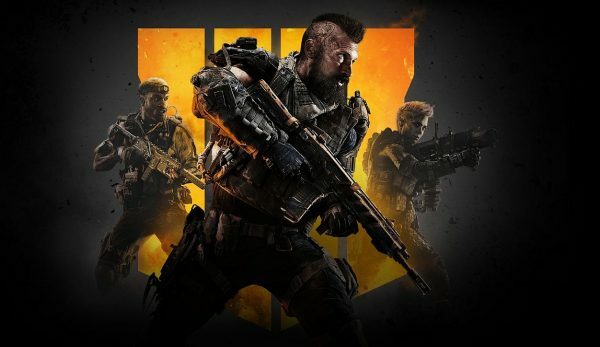 Call of Duty: Black Ops 4 will also be on sale for $44.99. Since hhgregg shut down stores across the country after going bankrupt, Best Buy is the de facto retailer when it comes to a wide selection of televisions. There are plenty of deals to be had over Black Friday weekend, but there’s some rather great doorbusters on 4K sets on Thanksgiving Day, November 22. Doors open at 5pm local time, and you should expect a line of folks waiting to get in instead of eating turkey and all the fixin’s with their friends and family. 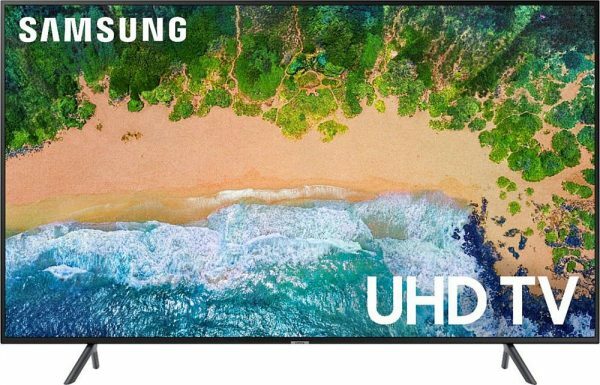 One of the bigger doorbusters on Thanksgiving Day is the Toshiba 43-inch LED 2160p Smart 4K UHD TV. It’s the HDR Fire TV Edition and will run you $129.99 which is $200 off. Again, it’s a doorbuster item which means it’s a in-store only deal. That said, there are hundreds of deals available daily on the Best Buy website leading up to Black Friday if you’d rather stay home. We’ve pulled some highlights from the 52-page Best Buy Black Friday 2018 circular below. You can look over the full thing through the Best Buy website, or if you want, the hard-working folks at BestBlackFriday have broken it all down in an itemized list. If you are in the market for home appliances, earbuds, smartphones, fitness trackers and the like, there are plenty of deals on those too. We’re personally still trying to find a great deal on KitchenAid Artisan Stand Mixer, but even on sale, they tend to cost a kidney – or at least part of your liver. We’re tracking all the best Black Friday 2018 deals for PlayStation 4, Switch, Xbox One, games and more again this year. Be sure to hit up the respective hubs for the complete list. Each are updated are more deals are advertised. You can also checkout individual posts for Costco, Walmart, Target, Kohl’s, and Dell Black Friday 2018 deals.